The Unusual Case of Doctor Strange - Ian West and Jonathan Eggelton. This game will provide a wonderful moment of nostalga. 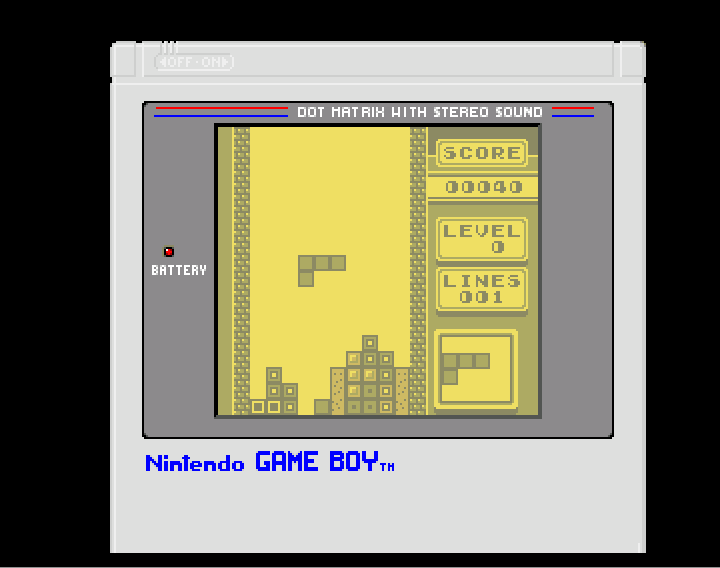 Tetris on the gameboy was one of the most popular games of the late 1980s. This version captures the mood of the game almost fautlessly. 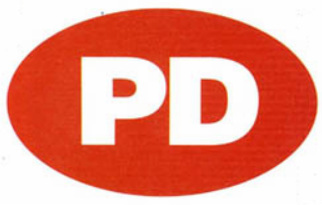 There is the reasuring ping as the Nintendo logo falls slowly down to the bottom of the screen. There is the familar 4 shades of grey used for the graphics against the yellow screen. The controls are a simple take on the gameboy. The joystick moves the direction of the tile and the fire button is used to rotate the piece. The one area which lets the game down is the lack of music. The game music to tetris was a big feature of the game and immediately plays in your head whenever this game title is mentioned. The lack of this tune does reduce the playing experience which is a shame. This is a lovely project and its a shame it wasn't expanded to include the option to play different games even if there were only arcade ones like Asteroids instead of Mario. I also had problems getting this game to work on anything other than a stock Amiga 500 with no memory expanision. This game should appeal to fans of chess. It has the basic options you would expect from a chess game. You can undo your last move. There is an option to ask for a hint if you are stuck in terms of the best move to make. There is also the option to change sides. The game graphics are functional rarther than amazing. There is no animation or sound effects as found in the classic chess game Battle Chess. 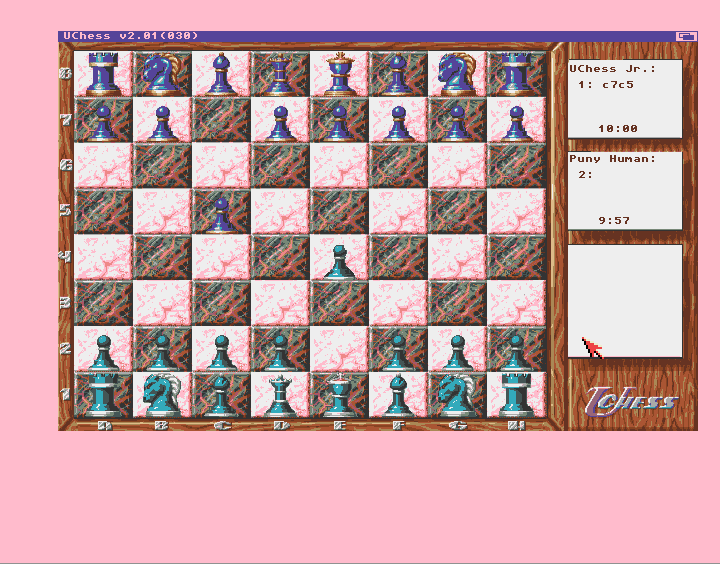 The game can slow down as the computer takes time to think about its move. This is probably not a big issue to regular chess players as the delay is similar to the time a human player would take to ponder their next move. The game has the usual save and load option so that unfinished games can be saved to be completed at a later date. Overall this is a competent chess game and will more than meet the needs of the casual chess player. This game has lots of charm which starts with the humorous intro which you must read in a silly accent to get full enjoyment. The charm is maintained with the small but cute in game graphics. In the game you take on the role of a mad Doctor who has to roam the dungeons attempting to destroy the strange creatures within. This game was writen for the Amiga Format Blitz Basic 2 game competition by Ian West and Jonathan Eggelton who were the talented team behind one of my all time favourite Amiga Pd shareware games, Santa and Rudolph do Xmas. 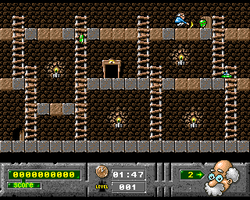 The games are similar in that have a simple pick up and play design and the action is kept to a single screen. The graphics are very professional looking and could have easily graced a commercial game at the time of its original release. The idea of the game is simple. You need to use your axe to dig a hole and wait for the enemies to fall in the holes. Whilst they struggle to escape from the hole they can be killed by attacking them with your axe. Once all the enemies have been killed you will move onto the next level. The game gets more difficult as you move through the levels as more enemies are add to the screen. Overall this is an enjoyable platform game which is enjoyable for a few minutes play. If you enjoy this game then you should check out the other games made by this talented pair, including the already mentioned Santa and Rudolph do Xmas, Ork Attack and Doctor Strange 2.